Gallery 27 is available to hire on an exclusive basis for exhibitions and functions. 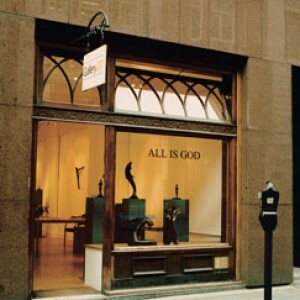 The Gallery is located in the heart of London's commercial art district, Cork Street, which is home to many of the major art dealers. It has been completely refurbished and re-fitted to create an intimate space for the display of old, modern and contemporary art. Its mood is traditional, warm and spacious yet very contemporary in feel. The Gallery's special characteristics are enhanced by the antique listed window frontage which is used to full advantage with the addition of a special raised window display area. Split over two floors, this charming space is perfect for the display of two- and three-dimensional works of art. From the ground floor of the Gallery, an inviting designer staircase leads down to a spacious lower ground floor which can be used either as another gallery room or as a meeting and entertainment area.